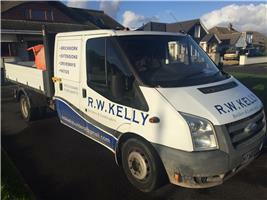 R W Kelly Builders & Landscapers - Builder, Landscaper based in Christchurch, Dorset. We are reliable, punctual, friendly and professional. We will provide a free detailed quotation for the work so that there are no surprises or hidden extras. Our prices are competitive and when we have completed the job we always leave things clean and tidy so that you can start enjoying your new environment straight away. When it comes to working in and around peoples homes, it can be stressful enough. So, we pride ourselves in being extremely considerate to both the customer and any neighbours that may be affected by the project that is being undertaken. Structural support, wall removal and installation of steels and lintels. If you would like to know more about our services or would like a FREE quotation, please get in contact.